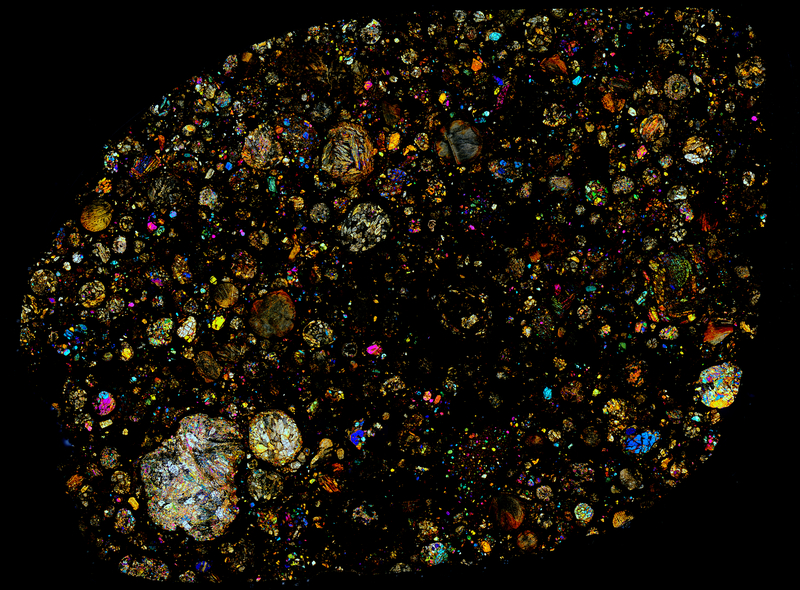 Thin section specimen of Dhofar 535 in cross polarized light. This meteorite has an incredible diversity of chondrules along with a beautiful array of colors. The meteorite is an ungrouped chondrite with numerous types of chondrules: Porphyritic Olivine-Pyroxene (POP), Porphyritic Olivine (PO), Barred Olivine (BO), Radial Pyroxene (RP), and Cryptocrystalline (CC). In addition, this meteorite is highly weathered (W5).